On September 11, 2001, over 3,000 Americans were taken from us by the evil acts of Islamic extremists bent on destroying our freedoms. 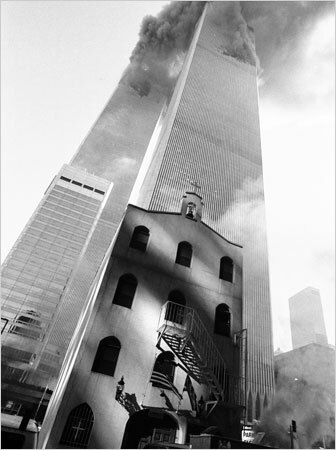 Amid the thick smoke and choking ashes of that fateful day, the St. Nicholas Greek Orthodox Church was reduced to dust. Since 1922, St. Nicholas Church had stood as a quiet sanctuary of prayer and reflection amidst the tumultuous and bustling crossroads of commerce. For nine years the Port Authority of New York/New Jersey has used bureaucratic obstacles and false promises to hinder the rebuilding of the St. Nicholas Church, all while our own government facilitates the building of a trophy Mosque nearby. This must end and it must end now. Freedom of religion starts with respecting our own sacred Judeo-Christian heritage. Now is the time for the Port Authority to stop hiding behind its bureaucracy and to facilitate the rebuilding of the St. Nicholas Church that was taken from us on that quiet September morning nearly a decade ago. Vote now. i am very happy to you. my name is Elijah from Kenya grace mercy and peace will be with you from God the father and from the Lord Jesus Christ the son of the father in truth and love. Please for your kindness i request you to join together for our project and spiritual needs. nice day.